This is just insane! What is going on on Earth! Billions of purple jellyfish-like creatures washed up on beach in Palavas-les-Flots, south of France on Tuesday, April 10, 2018. It’s reportedly the first time an invasion of this type of jelly fish has happened in the south of France. They normally get stranded further north in Britain and Ireland. 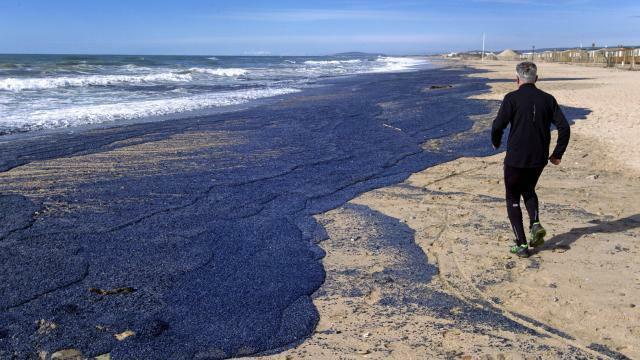 A popular beach in the south of France has been invaded by billions of purple creatures and it’s made for an impressive sight. 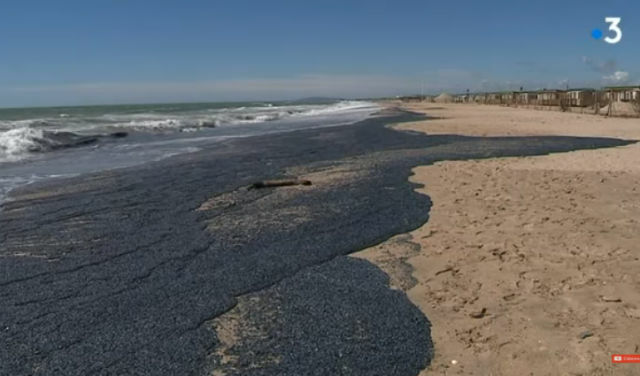 Residents of the southern French seaside town of Palavas-les-Flots, got a shock when they took their usual morning stroll along the beach this week. 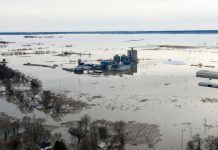 On Tuesday morning the sand at the town just south of Montpellier on the Mediterranean coast looked a little different. A lot more purple than the normal sandy brown. That’s because billions of jellyfish-like creatures known as Velella had washed up on the shores. 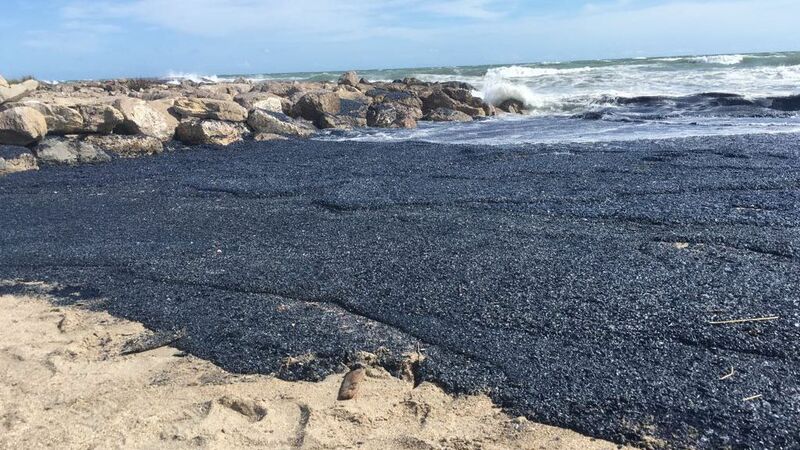 “I first thought petrol had spilled in the sea, seeing as all the beaches are covered for miles, but no, these are jellyfish” one resident told FranceInfo radio. In fact, Velella are not officially jellyfish although in the same family. They are often called “by the wind sailors” or “sea-rafts”. 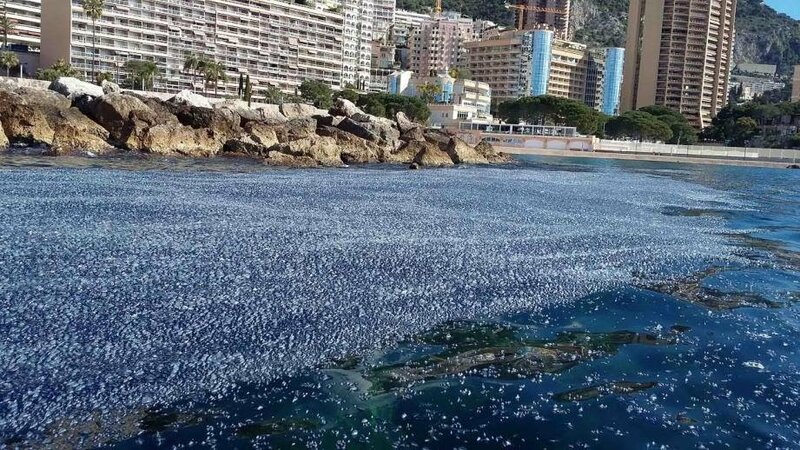 According to officials, the strange incident happened because these jellyfish, which usually move together in large groups in the sea, have been pushed for three weeks by heavy winds towards the shores. 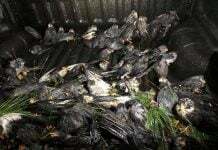 A clean-up operation was due to take place on Wednesday and Thursday. 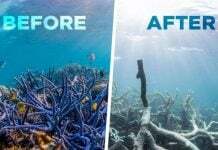 Seas are dying off. Within the last few weeks, more than 150 whales died after a mass beaching in AUstralia and 50 dolphins washed up in Argentina. Although they seem to recover, millions of sea stars still suffer a mysterious disease, and dead zones are always getting bigger. Are we destroying Mother Earth? We’ve had scads of these little guys wash up in Southern California periodically. But never that many! Holy cow. PUBLIC SECURITY SECTION 9 AGENT ARAMAKI SAYS; As you can see the lower energy output from our home star has caused a decrease in the food supply for even the earths oceans. We will have more of these types of events going forward from here. Many animals are starting to behave in an odd manor because of the changes in the earths magnetic fields and lack of food as well as to hot or bitterly cold temps changing quickly over a very short period of time! I wonder if that would make a tasty sushi?